The grapes are first gently pressed and fermented into dry, still wine. For a typical non-vintage cuvee, the Champagne house blends this wine with other still wines of varying ages from its cellars in order to create a consistent “house style.” The blended still wine is bottled, a bit of sugar and yeast is added to each bottle, and the bottles are sealed with a crown cap. The added sugar and yeast set off a second fermentation of the wine in the bottle; a byproduct of fermentation is carbon dioxide, but since the CO2 cannot escape the sealed bottle, it is trapped in the wine as bubbles. The other byproduct is the “lees,” the dead yeast cells and other particles that settle to the bottom of the bottle. Champagne is aged for at least 15 months with the lees still in the bottle, which is what gives Champagne is characteristic yeasty, brioche-toast aroma and flavor. The bottles are then gently shaken and gradually upended over a period of several months (a process called “riddling” or “remuage”), pushing the lees to the neck of the bottle. When all of the lees are collected in the neck, the neck is frozen, the caps are opened, and the frozen plug of lees pops free, leaving clear fizzy wine behind. The bottle is then typically topped up with a combination of sugar and still wine (a “dosage”) to the desired level of sweetness — most often “brut” (dryish), although a recent trend is to omit the sugar for a bitingly dry “brut nature” or “zero dosage” Champagne. While high Champagne prices have been rightly criticized as the product of fierce protectionism by the Champenois of their prized brand, the prices also result from the meticulous process requirements and extraordinarily high levels of quality control self-imposed by the producers. Those requirements and controls mean that when you spring for Champagne, you can be reasonably assured of a quality product. 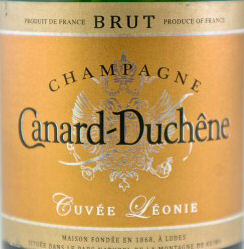 One to try: Canard-Duchêne Brut NV Champagne, about $37. If imitation is the sincerest form of flattery, consider Champagne well flattered. While sparkling wine grown and made outside the borders of the Champagne AOC cannot be called Champagne, there is no ban on the use of the traditional Champagne method elsewhere. In France, many regions have their own sparkling wines — typically called “Cremants” — that are made in the same way Champagne is made, often using the same grape varieties. The wine bottle will usually say “Methode Traditionelle,” or less often “Methode Champenoise,” to make clear that it was made using the Champagne recipe. Several regions have been granted their own AOC status for their traditional-method sparkling wines, including Cremant de Bourgogne, Cremant D’Alsace, Cremant de Loire, and Cremant de Jura. While most of these wines are fairly simple fizz made for modest budgets and early enjoyment, the best are serious wines at a great value. 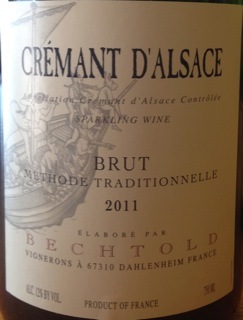 One to try: Bechtold Cremant D’Alsace 2011, about $25. Traditional-method sparklers are made outside of France, too. Catalan Cava was the first, and is one of the best known. The Cava industry pioneered the use of automated riddling, reducing the extraordinary labor costs of hand-riddling and thus driving down prices. While cava producers are not constrained by the same yield and aging restrictions as Champagne houses, the level of quality is high for the considerably lower price. One to try: Mascaro “Pure” NV, about $16. Traditional sparkling wine is also a particular specialty in the Franciacorta and Trento areas of northern Italy, where Ca del Bosco and Ferrari, among others, make sparkling wines that rival the best of the fancy Champagne brands for complexity and power. Look for the term “Metodo Classico” on the bottle. America makes its fair share as well, in likely places (California and Oregon) as well as very unlikely places (New Mexico and Massachusetts). One to try: Argyle Brut 2012 (Oregon), about $25. 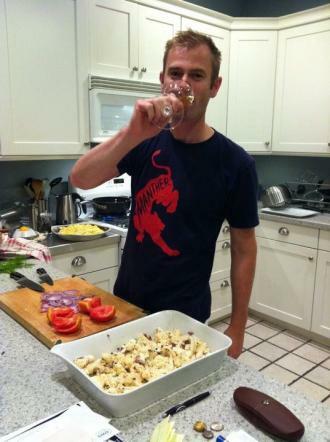 There are methods other than the traditional one for putting bubbles into wine. In the widely used “Charmat Method” or “Metodo Italiano,” the second fermentation occurs in steel tanks rather than in the bottle. The wine is kept under pressure in the tanks until the producer has an order to fill, at which point it is bottled under pressure. This method takes away some of the complexity of true Champagne, since there is no aging on the lees, but it is significantly cheaper to make and store. The best-known sparkling wine made using the Charmat Method is Prosecco, which is made in the Veneto region of Italy from the Glera grape. Prosecco typically tastes a bit sweeter than Champagne and does not have the mouth-puckering acidity, making it a great all-purpose party sparkler. One to try: Adami Prosecco Garbel NV, about $16. 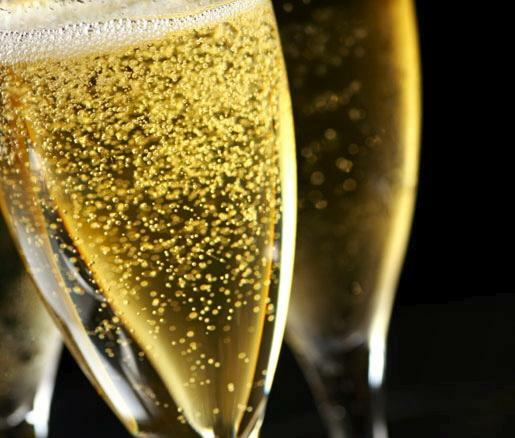 The “Methode Ancestrale” is a sparkling wine method that predates the Champagne method. In this method, the wine is partly fermented in tanks, but is bottled before this primary fermentation has eaten up all the grape sugars. The wine continues to ferment in the bottle, but only for a little while, creating a lightly fizzy, usually sweetish wine that is a delight to guzzle. These fun, low-alcohol sparklers, often called “petillant naturel” and bottled with a crown cap rather than a cork, have long been a specialty of the French regions of Limoux in the Languedoc and Bugey in the foothills of the Alps, and of the Lambrusco region in Italy, but are now being made all over France and Italy. Even a few adventurous producers in the United States have gotten into the “pet-nat” game. 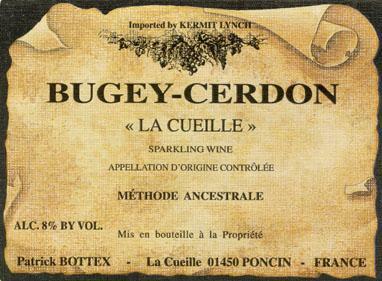 One to try: Patrick Bottex Bugey-Cerdon NV “La Cueille,” about $19. Once you’ve gotten the basics down, you’ll find there’s a sparkling wine for nearly every wallet, every taste, and every mood. You might even do the unthinkable: start drinking it on non-holidays.